I wonder if my coauthor is starting to wonder exactly how geeky I am. He's not even old enough to remember the original Star Treks, let alone the detail of the episodes like Pon Farr and kal-i-fee. Although he might enjoy the antics of Space Lawyer extraordinaire Samuel T. Cogley. 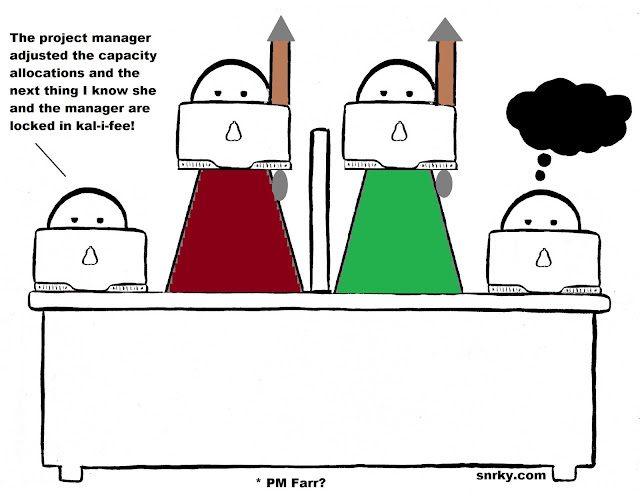 Be that as it may, a PM adjusting your team allocation directly when there's a functional manager involved....I don't think this is going out on a limb.